Happy holiday season! 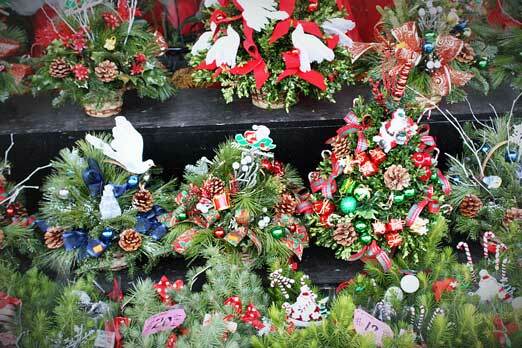 We love to “shop small” and local, and the neighborhood’s seasonal holiday markets are particularly fun. Here’s our list for 2015—if we’ve missed your favorite market, please let us know! Hi all! 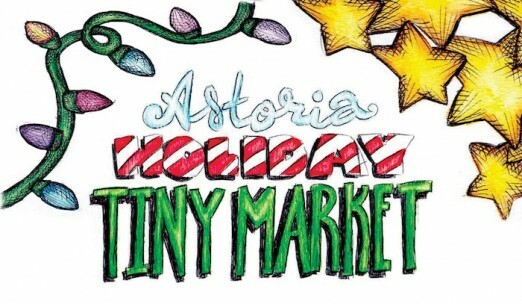 Join us for the first-ever Holiday Astoria Tiny Market. 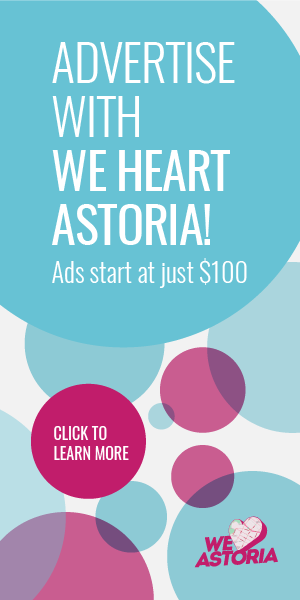 Curated to be a one-stop-shop for your holiday parties and gifts. We’ll sell wine, cards, chcocolates, cookies and gifts. Come hang out and enjoy our handmade, artisinal items or just stop by to say hello! Happy Holidays! 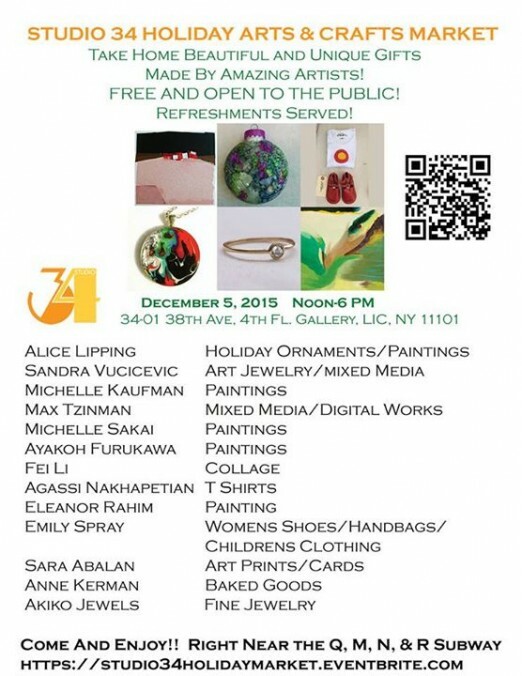 Come out in support of local, talented artists and get some unique, one-of-a kind gifts for the holidays! 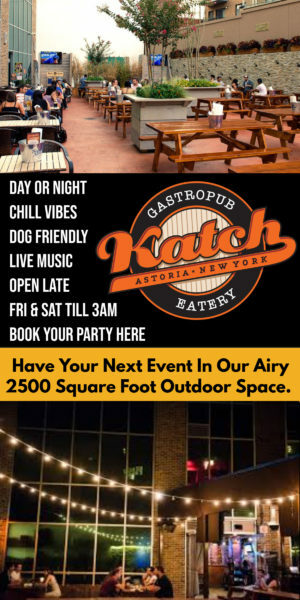 , Long Island City, NY. We hope to see you there! 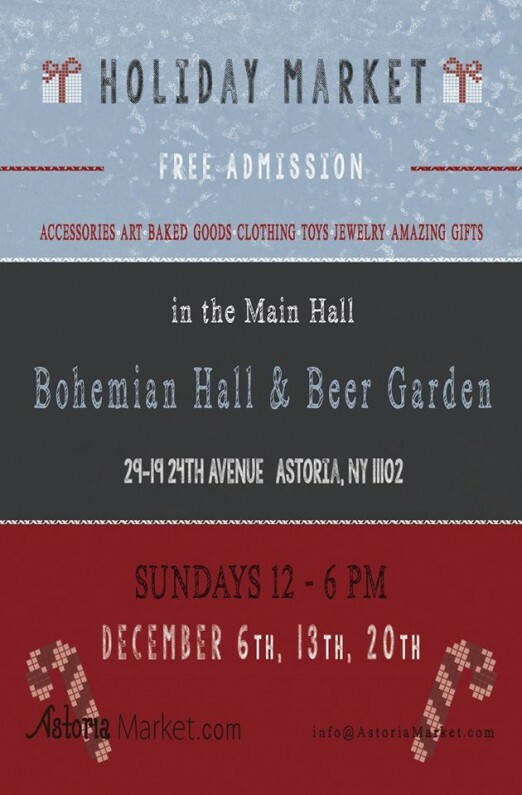 Swing by Bohemian Hall’s main hall to snag that perfect handmade gift for your loved ones. At all 3 events, there will be a full house of fantastic vendors, where you’ll find art, jewelry, toys, chocolates, body care, handbags, clothing, stationery, scarves and hats, pottery, and more! Bohemian Hall will offer their scrumptious “Grandmas Kitchen” menu – which includes a variety of homemade soups, assorted pork and sausage platters, and homemade apple strudel. 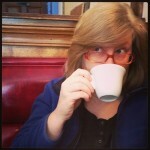 There will also be eggnog, chestnuts, hot apple cider, and other holiday favorites on the menu. Meet the artists while shopping for hand crafted, one-of-a-kind fine art, home accessories, jewelry, sculpture, and more! 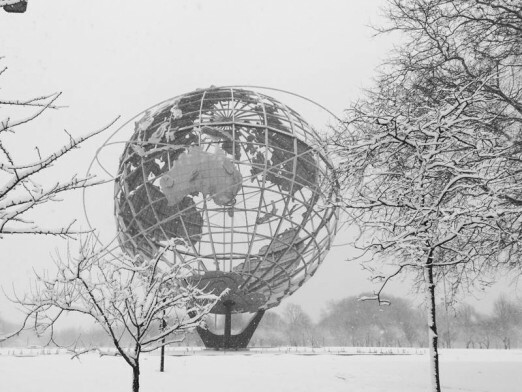 The Queens Museum invites you to escape the winter cold and enjoy the holiday with live musical performances, art making workshops for families, a book sale, and an amazing market filled local arts and crafts. A wide range of vendors include Bare Hand Creations, Chuecas´ Curtidos, Mawusi, queens88, QNSMADE, Queens Babies, among others. 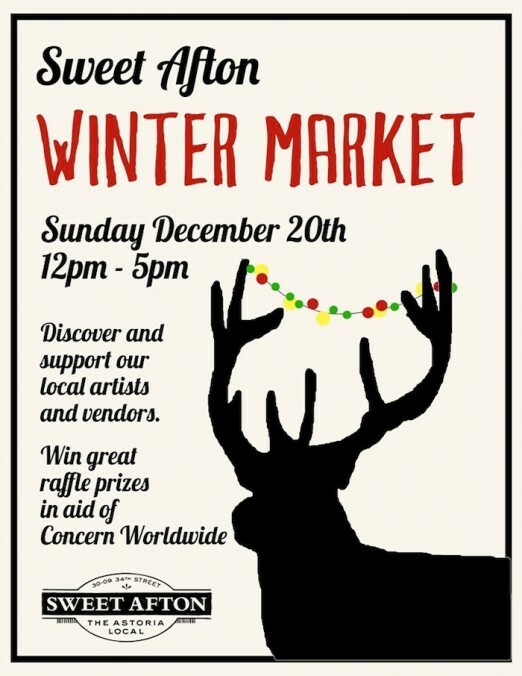 Check out local vendors & artists at Sweet Afton’s annual holiday mini-market! SHOP. EAT. DRINK. LOCAL. 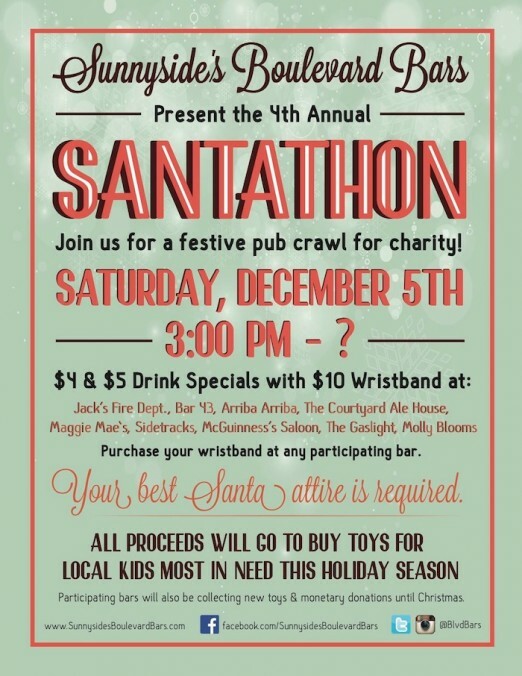 Presented by Sunnyside’s Boulevard Bars, the 4th Annual Santathon is a festive pub crawl for charity. There will be $4 and $5 drink specials at all of Sunnyside’s Boulevard Bars with the purchase of a $10 wristband. Proceeds will go to buy toys for local kids most in need this holiday season. Beer sponsors include Radeberger and Heineken. And remember… your best Santa attire is required. Also, all bars will be accepting new & unwrapped toys until Monday, December 21st. Donations will be delivered to neighborhood toy drives in time for Christmas. Over the last 3 years, Santathon has raised more than $20,000 in monetary and toy donations!